Belarus is a landlocked and generally flat country. More than anything, what distinguishes its landscape it its forests. About 40% of the land area of the country is forested. During its long winters, these forests become true winter-wonderlands, on a par with the best forests of Scandinavia. 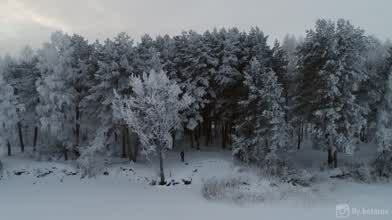 In this drone video by FFly.Belarus, you'll get a bird's eye views of the country's endless forests in the dead of winter. It was filmed near Mogilev (the country's third largest city) in its east-central region.